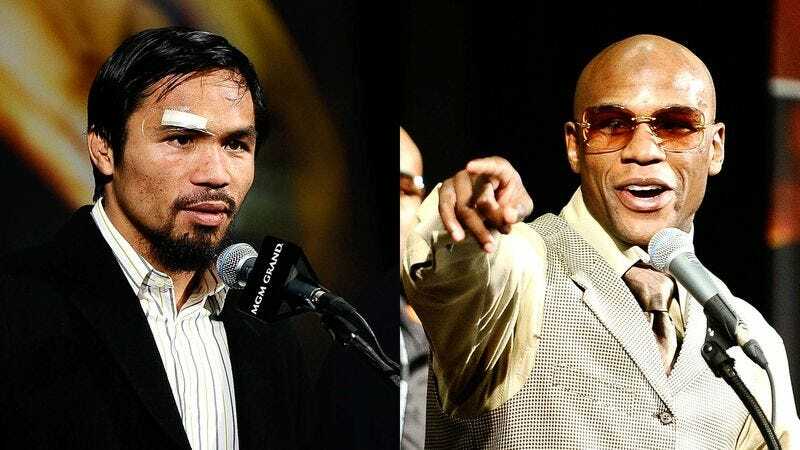 LAS VEGAS—Despite pleas from their managers, handlers, and fans, Floyd Mayweather, Jr. and Manny Pacquiao are too consumed with anger toward each other to engage in fighting, sources close to the two boxers confirmed Thursday. "We've done all we can, but the animosity between these two men is too bitter to allow them to trade punches," said Mayweather adviser Leonard Ellerbe, who has repeatedly entreated Pacquiao to "set aside whatever personal animosity he bears Mayweather and do his level best to knock him out," but to little avail. "Unfortunately, their reciprocated feelings of hatred seem to be too great, and to run too deep, to ever subside into physical violence." Both Pacquiao and Mayweather are said to be considering offers to batter much closer friends of theirs into unconsciousness.